This plan was designed by my dear friend, Amy. She is a Keto coach and a meal planner. She has an amazing story of how she lost over 90 lbs doing the Ketogenic diet and it is her mission to help others learn this healthy lifestyle. 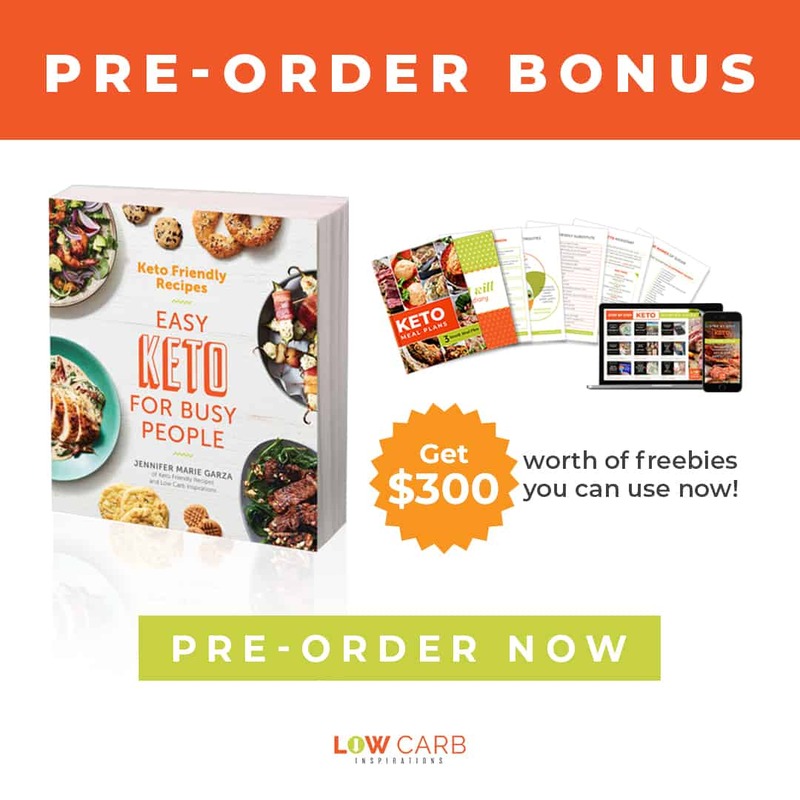 She has already helped over 40 thousand people who have stalled on the Ketogenic Diet. 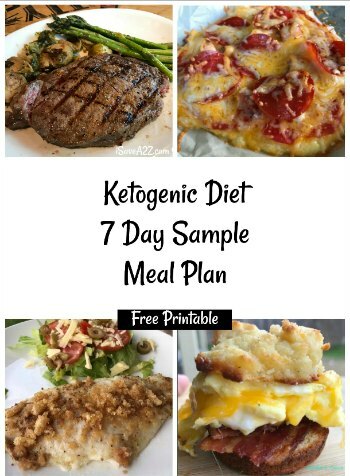 Which Keto Fast or Meal Plan is Right for You? 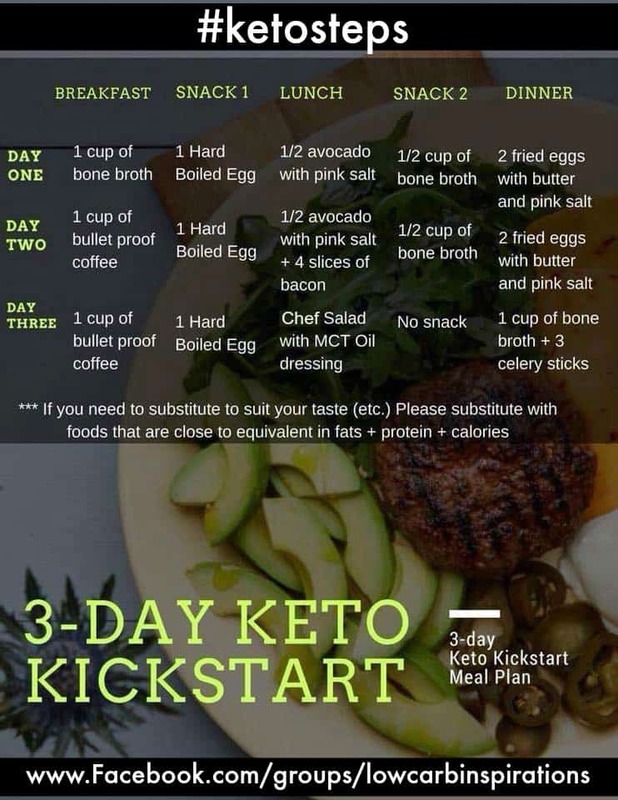 There are many different keto kickstart or keto fasting plans out there designed to help break a stall. I’ve tried them all. They all work too! You know why? It’s because you are limiting your caloric intake and you are restricting the carbohydrates from your diet. It’s a win-win and you will lose weight! You just have to decide which plan you really like and go with it. I’m a big fan of the Beef and Butter fast because it doesn’t leave you hungry. This 3-day plan is very restrictive with a few substitutes you can use. Don’t skip out on the fat. The fat is satiating and definitely helps with hunger. I’ve invited Amy to a Facebook Live session where she tells us all about her experience in the Low Carb Inspirations Group on Facebook. Feel free to join the group if you aren’t already a part of it. We are a huge group of over 100K people who believe in having a supportive and positive place to share our experiences on Facebook. You will love it! I will be sure to share our live video on this blog post once it’s done too! You guys will love her! Amy is also the one that taught me all the benefits of the Smart Coffee! I ordered it because she swears it helps with a weight loss stall along with a few other benefits too! The biggest benefit for me is that it’s a coffee that curbs my hunger. 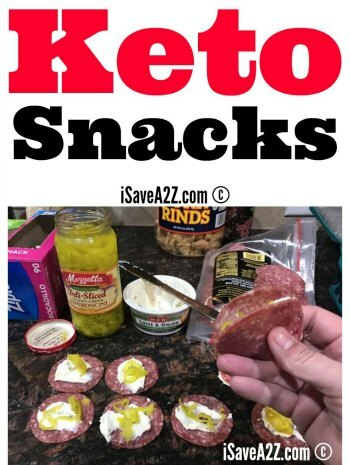 This makes this Keto Kickstart Plan doable for me. It also gives me energy but not jittery energy either. There is no crash with the smart coffee. I ordered my first package because they have a 30-day money back guarantee! Now I understand why Smart Coffee is popular! It enhances your mood, it curbs your appetite, and it gives you energy without feeling jittery! It’s a tool I am happy to use during my weight loss process. 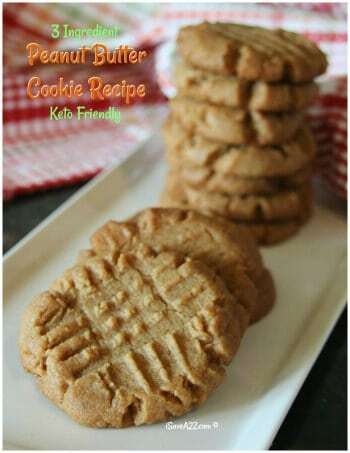 By Jennifer on May 8, 2018 Keto Dinner Recipes, Keto Friendly Recipes, Ketogenic Diet, Low Carb Recipes, Weight Watchers. What does the chef salad consist of? The chef salad consists of lettuce, avocados, shredded cheese, hard boiled eggs with an option of adding an additional protien such as ham, chicken etc… Use MCT Oil for the dressing.